Browse some samples of websites we’ve designed. 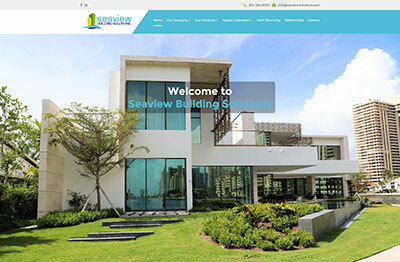 All our designs are mobile responsive. Below are some samples of websites we've created. Hover over a site to read about the work we’ve done, and click on it to view the website. 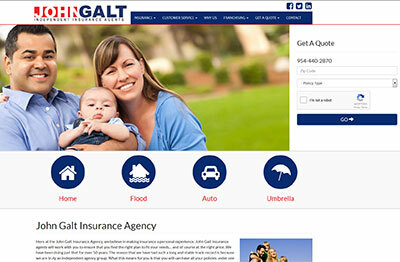 Work Performed: Redesigned this mobile-responsive website on Wordpress. We also manage their social media and SEO. 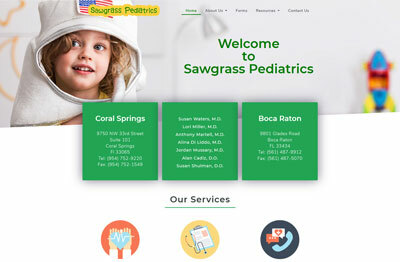 Work Performed: This Coral Springs pediatric practice's website was over 10 years old. We designed a new, modern site. 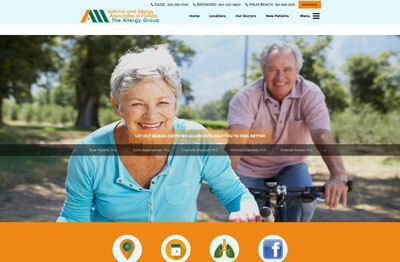 Work Performed: The website redesign for this Allergy Dr. practice features a modern mobile-first design. 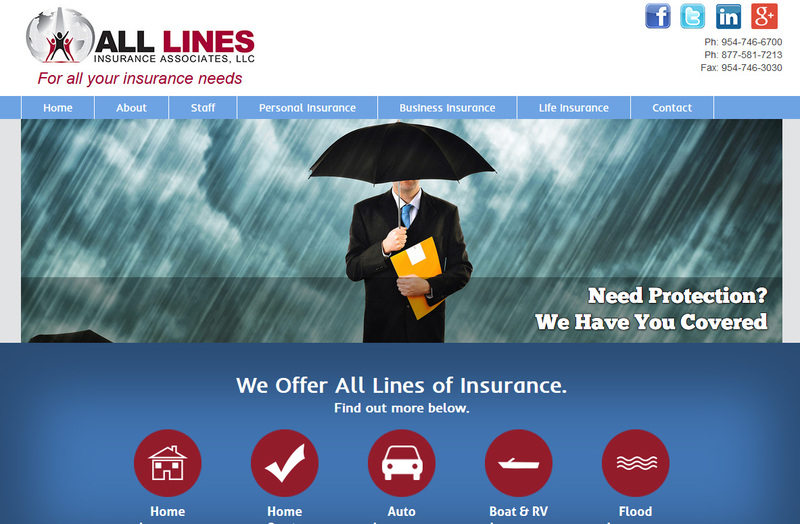 Work Performed: We modernized their website with a new Wordpress design which showcases their services and products. We are also managing ongoing SEO and AdWords campaigns. 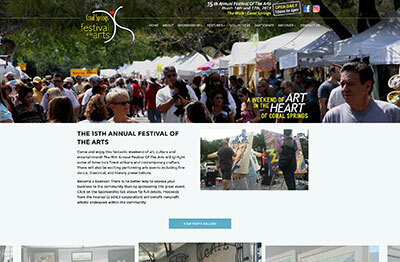 Work Performed: We created a new site on Wordpress for this local community event. We also manage all their social media and are proud to serve on their committee. 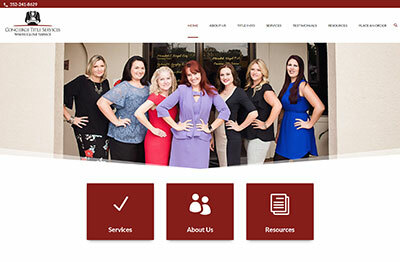 Work Performed: We designed a brand new website for this title services company. 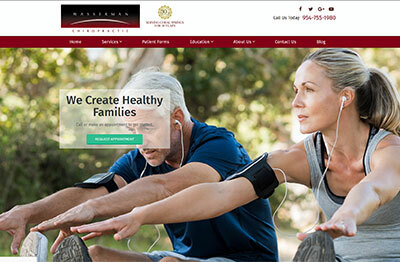 Work Performed: We designed a new website which features meals and nutrition plans. 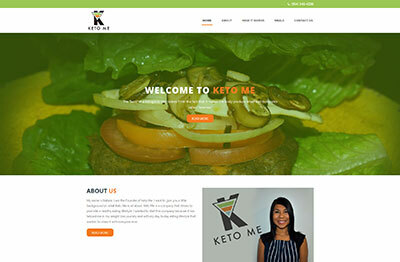 Keto Me: We designed a new website which features meals and nutrition plans. Work Performed: We redesigned their website with this new, sleek, custom Wordpress design which integrates with the MLS Listings. The site features properties for sale and includes information on the team, a blog, and some contact forms. 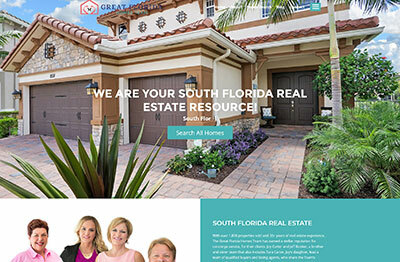 Great Florida Homes: We redesigned their website with this new, sleek, custom Wordpress design which integrates with the MLS Listings. 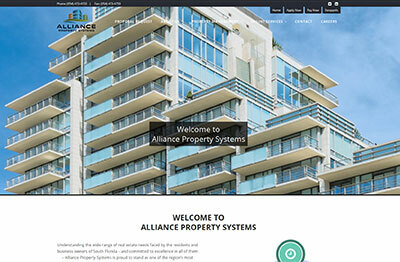 The site features properties for sale and includes information on the team, a blog, and some contact forms. Work Performed: We created a small yet attractive site for a local company. We are also doing ongoing search engine marketing for them. 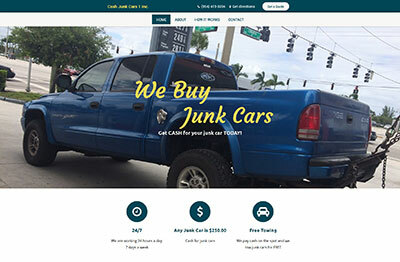 Cash Junk Cars: We created a small yet attractive site for a local company. We are also doing ongoing search engine marketing for them. 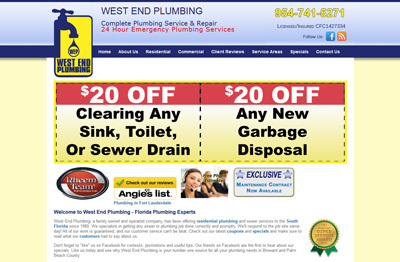 Work Performed: Redesigned this large site using Wordpress, including a payment area. We are providing ongoing maintenance. 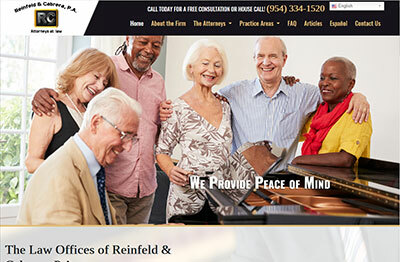 Work Performed: We redesigned this Wordpress website for a local law firm. They were looking for a modern, mobile responsive website. We also added a Spanish translation feature. 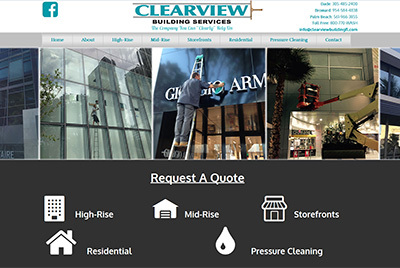 Work Performed: Redesigned their site to be more modern and mobile-friendly. New Wordpress site has already performed better. Ongoing search engine work. 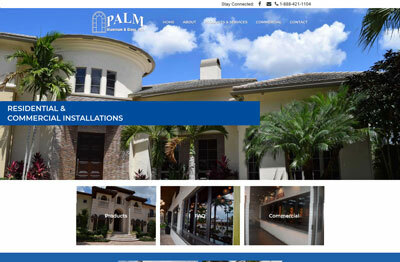 Work Performed: Created a Wordpress website for this leading property management company in South Florida. Ongoing search engine marketing. Work Performed: Designed a modern Wordpress website. 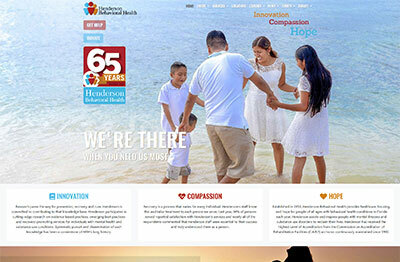 Work Performed: Designed this sleek, modern Wordpress website. 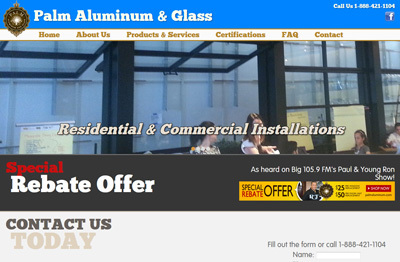 Work Performed: Their old site was very outdated, and we gave them a new look. 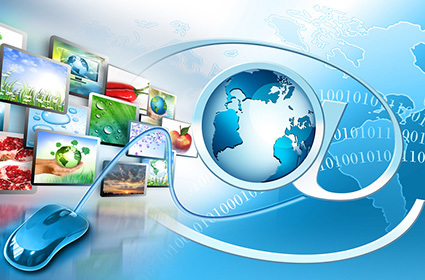 We are doing ongoing SEO which has increased website visits. 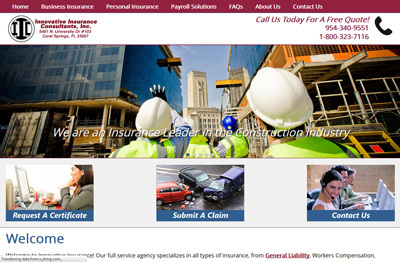 Work Performed: Created an effective corporate site to showcase this insurance company’s services. Logo was recreated and edited. 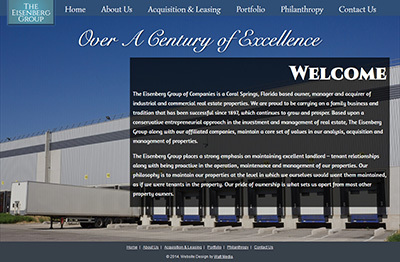 Work Performed: Website redesign, including a portfolio for this commercial real estate firm. Mobile compatible. 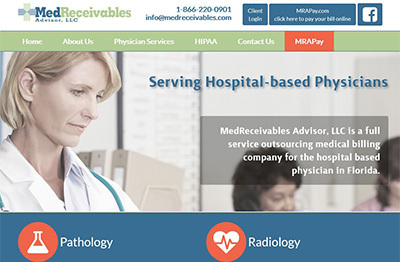 Work Performed: Website redesign for medical billing company. Modern, streamlined, and wide design. Mobile friendly. 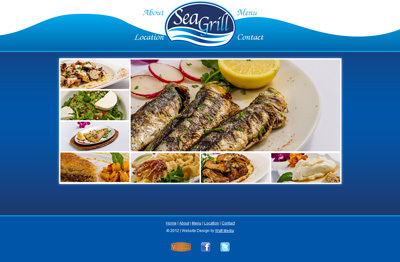 Work Performed: Brand new website design for this upscale Mediterranean restaurant in Miami. 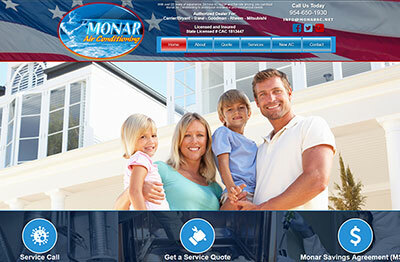 Work Performed: Complete website redesign, including mobile responsiveness. Website was created to be search-engine ready. Work Performed: Previous site was very dated. We designed a new, modern site and maintain their social media and search engine marketing, which has resulted in increased visits. Work Performed: Website redesign, including mobile compatibility. Ongoing SEO, yielding top page results on Google. 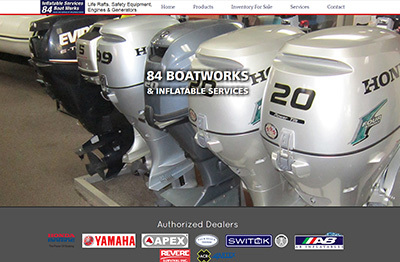 Work Performed: Redesigned Site, including their Inventory section. New Wordpress site is mobile friendly and features a clean and wide look. 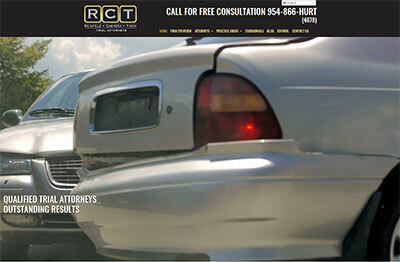 Work Performed: Website redesign, including several online forms, mobile compatible. Ongoing search engine optimization. 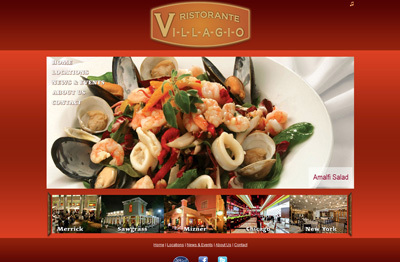 Work Performed: Complete website design for this popular restaurant, with locations throughout South Florida and in Chicago and New York City. Work Performed: Ongoing maintenance and search engine optimization. Website ranks on first page of Google and other search engines for many key words.